In this clinical case report by Dr. Mohsen S. Ozaibi Via Creative Dental Center (@creaiveCDC), I documented and performed a root canal obturation on a #9 ( Upper Lateral incisor ) with migrated primary canal. Patient came with some discomfort from a previous treatment, where all the front teeth had crowns with orthodontic treatment on them which lead to complex root anatomy ( very tight and curved ). 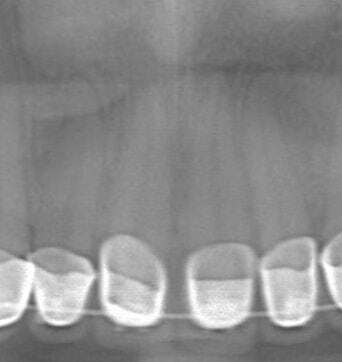 On Closer examination of the Radiograph, it shows some radioleuceny around the root apexs, which is normal with aggressive orthodontic treatments. 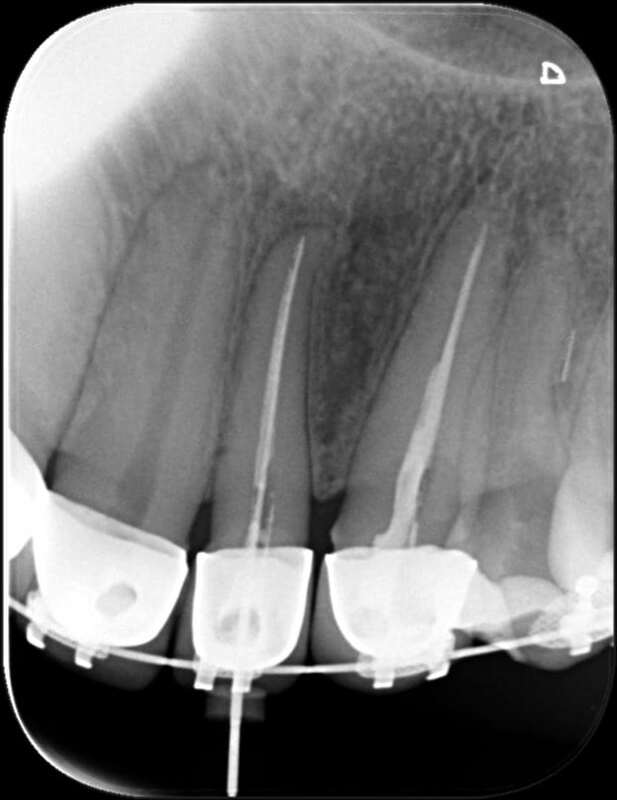 For this case, the issue isn’t the Root canal treatment for say but its due to another dentists who aggressively did cleaning and shaping and lead to canal migration. First of all, the tooth #9 was radio-graphed to understand the morphology of the tooth which showed a curvature towards the canine. Pulp tissue was removed and working length was determined. The current dentist continued cleaning and shaping with this image in mind without any problems. Once the dentist finalized the shape and completely cleaned the canals, the obturation step commissioned. 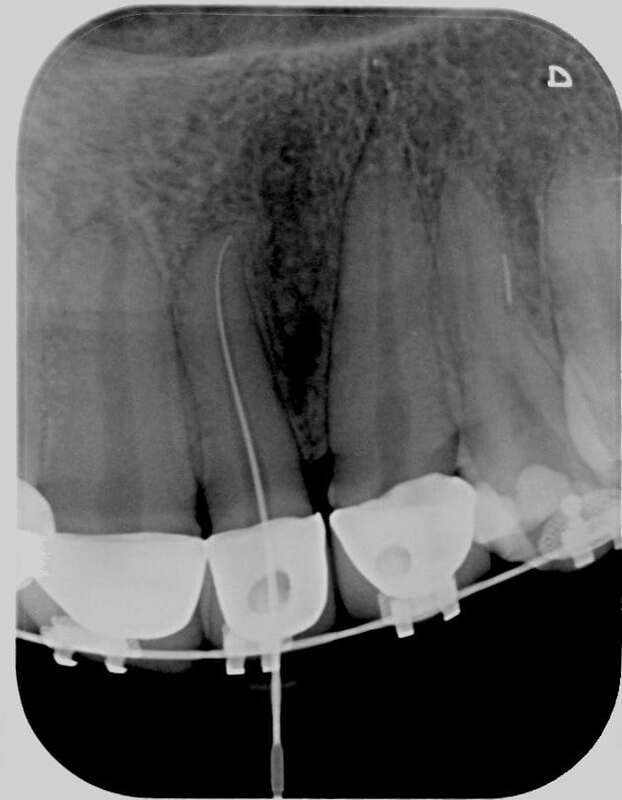 During the obturation step, the Main Gutte-percha was placed and a Periapical was taken, the following problem appeared. 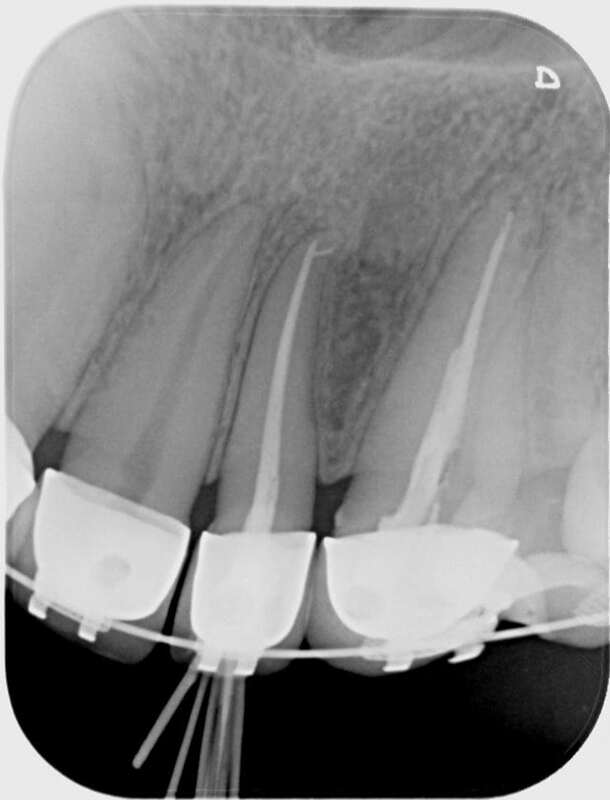 The primary canal has migrated towards being 100% parallel the along axis of the root and not following the apex curvature, this can happen in most cases due to aggressive cleaning and shaping. The case was refereed to me to fix this issue. In this situation its best to use smaller File ( #8, #10 #15) to initiate the primary canal curvature and remove the redirect the artifical canal into being part of the primary canal, but it this case it was difficult to enter the apex curvature. 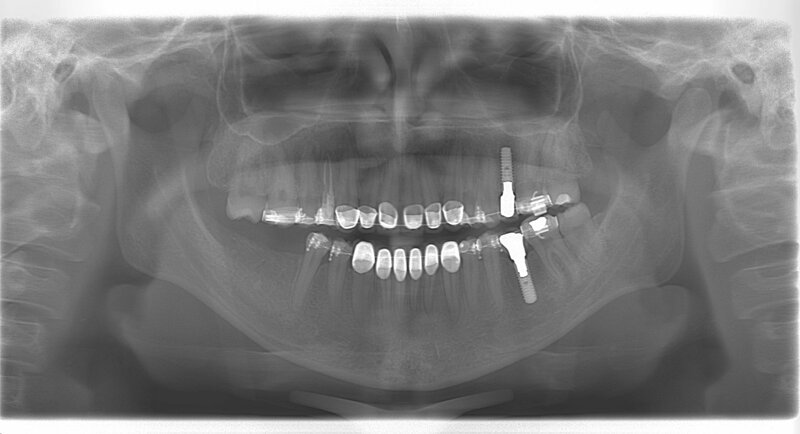 The other treatment is to obturatate the primary canal with and treat the apex curvature as a secondary canal. First of all, add a few drops of sealer into the canal and then use the main GP cone to fill the artificial primary canal the pressure of the main cone will push the sealer into the original curvature ( make the sealer thick and use the sealer with cortisone to minimize inflammatory reaction). 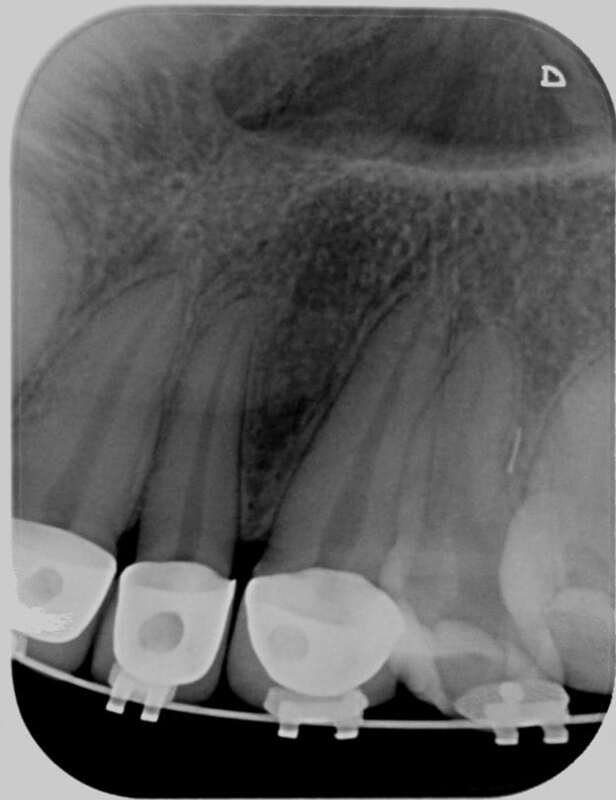 Obturate normally and once done, take a periapical film to confrim the results. The final results, show the apex curvature sealed with sealer and the artificial canal filled correctly. Follow up will occur within 3 months of treatment to confirm success. Case documentation, Edit and photography is courtesy of Dr. Mohsen S. Ozaibi at Creative Dental Center, Abu dhabi.